Ajaeze the hunky music star from the staple of ISEKOLife Musix has seen his signature Mask Swag Go Viral . The ‘Jeje’ crooner who has seen the single currently tearing up the speakers is noted for the Masked look. The mystique of the mask seems to have become infectious as seen with fans and celebrities alike. Apart from Ajaeze Klan Members, the public are taking to it and even Nigerian Superstar act Peter of Psquare fame has been spotted wearing it . 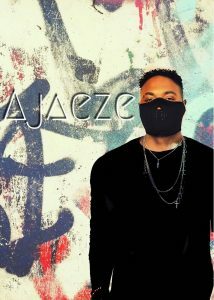 It’s officially the #AjaezeMaskSwag season , Get your Mask on and keep rocking to the sounds of the exciting Star Ajaeze.